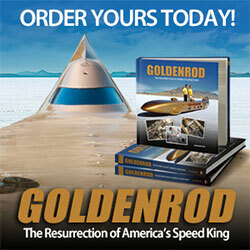 Copyright “LandSpeed” Louise Ann Noeth All Rights Reserved DO NOT copy or link with prior written permission. The 68th running of Speed Week, August 13-19, hosted by the Southern California Timing Association (SCTA) was a mixed bag of success. 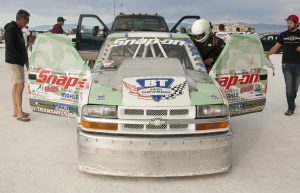 Land speed racing was back after a forced, two-year weather-induced hiatus and the bulging pit area was abuzz with warming engines. 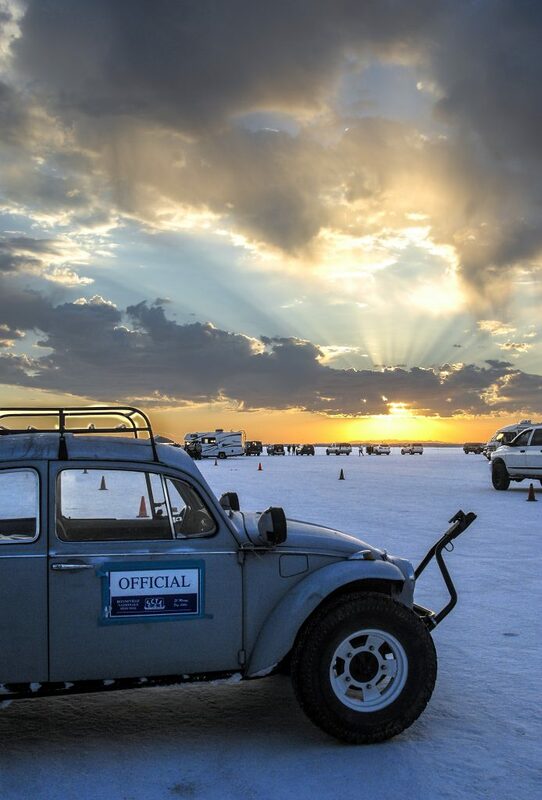 Going to the Bonneville Salt Flats and NOT getting up before dawn at least one day is the dumbest thing you could do during Speed Week 2016. Bigger, heavier cars, grappled with vision gutting high-speed vibration. Traction control systems went berserko-wacky and the emanating staccato sound waves wrinkled brows from starting line to shut-off. Belly pans were sacrificed to the recycling bin with regularity. These amateur racers often demonstrate more resolve than the paid motorsport crowd and don’t give up easily. 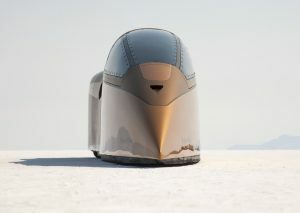 Bonneville is the largest expanse of serene nothingness with which a person might ever bond. One visit stays with you for a lifetime; it’s cerebral magnetism on overdrive. Once you’ve had the supreme pleasure of rolling with conviction over pristine saline – never mind setting a speed record – a spark of divinity is exposed and I don’t mean inside a cylinder. Bonneville racing has been described as “the last vestige of the Wild West” where all the ponies are now under the hood. 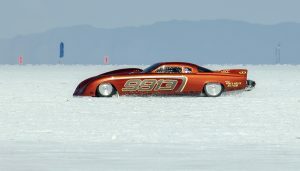 In addition to Speed Week, there are four other events: World of Speed, Bonneville Motorcycle Speed Trials, Cook Shoot Out and World Finals, with the occasional private event. Speed Week 2016 attracted 418 pre-entries, down from 550 in 2013, with an estimated 72 on-site registrations bringing the total to some 490 entries. The final tabulated number will be larger once class changes (eg. gas to fuel) and additional drivers are factored into event totals. A modest 68 car records were set all week. 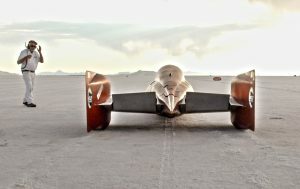 Further evidence of feeble salt is found in the unrealized potential: only 2 cars set records above 400MPH: Speed Demon’s Racing Team’s 416 record in Class B/BFS Class and Thompson LSR inked a 411 mark in Class AA/FS. Noteworthy is that the single, smaller Speed Demon turbocharged engine out ran the pair of Thompson’s 2,500HP nitro HEMI V8’s. All engine man Ken Duttweiler’s fault – again. 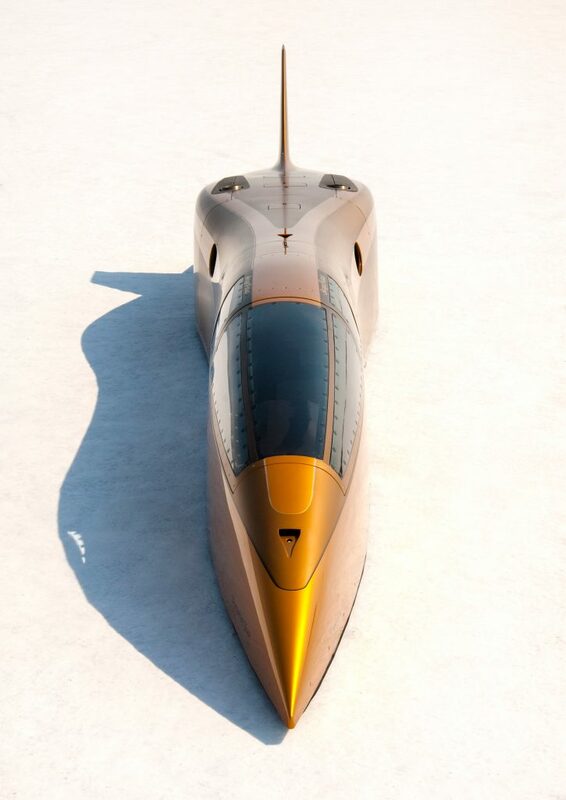 The lone plus 300 record came through the Ferguson family streamliner 349MPH in Class B/FS. A mere 17 records were set in the 200MPH range with all the rest south of that. George Poteet, driving his brand spanking shiny new Speed Demon recorded Top Time of the meet with a blistering 442MPH one-way run to earn the Hot Rod Magazine Trophy for the 6th straight year in a row. He told me that he is done for the year thanks to jackhammer quivering from the surface that limited his clear vision to 1/4 mile. Consider the speeds he whistles along at, and then decide if you have matching tenacity – it takes a minimum of two runs to set a national record. Only 8 other cars ran above 300 MPH, five of which were capable of plus 400MPH speeds — a glaring testament to the lousy surface thanks to years of failed recreational management plans administered by the Bureau of Land Management in this writer’s opinion. Target 550, the streamliner of Marlo Treit and Les Davenport (driver) came to a controlled stop some 9 miles down course and one-half mile off the active track when both ring slot parachutes failed. 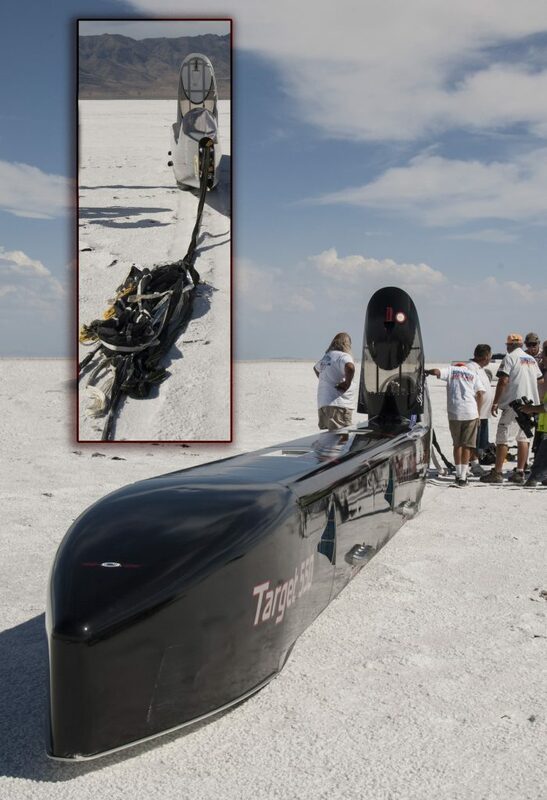 Overall, nine drag chutes were completely destroyed in four runs due to the salt crystals being hard enough now to penetrate the nylon chutes. Smaller, slower cars were the big winners this year with 48 inking a spot in the record books starting with Kaylin Stewart, 18, who became the youngest female to earn life membership in the Bonneville 200MPH Club recording a 224MPH record driving the Jesel Valvetrain Dodge pickup. Dan Haugh from Lawrence, Kansas, had as much fun setting his 140MPH record driving a resurrected 1981 Saab Turbo, aka, “The Panda” as Poteet. Arriving home, wife Jay had adorned the front porch colonnade with a bright metallic “Congratulations” banner and inside waiting was a three foot high helium-filled silver trophy flanked with further proffering’s of praise and adulation. Then there was Team McLeish Bros. who brought the modified Triumph Spitfire and SilverRod motorcycle streamliner to play with – emphasis on play as these guys are ALWAYS in a good mood! Setting 5 records, 2 car and 3 motorcycle, one used the same Indian engine once used by salt icon Burt Munro (World’s Fastest Indian) but because the record was in another class the venerated New Zealander’s mark remains intact. The college-inspired Greenspeed Research Racing Team wins for the best pit improvement — a solar charge station. They wired up a single solar panel to a couple Odyssey Batteries and had silent power for the entire event. All the computers, phones, cordless tools, et al, were topped up effortlessly. The loudest thing in the 200MPH Dodge Ram on veggie oil Greenspeed pit was their neighbor’s generator. The team’s diesel pickup officially became the first vehicle on planet earth to drive past 200MPH on 100% veg oil! The salt got Congressional attention from a team representing the US House of Representatives and Utah Governor Hebert’s office of Public Lands Policy. While on-site, the group saw irrefutable visual evidence of contributing causes that the LSR community squarely places on the BLM’s shoulders. 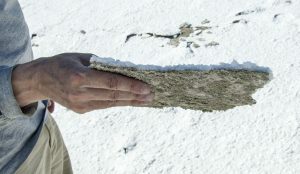 All were duly amazed at how often the written documentation matched what they were observing — Bonneville’s salt crust that was once measured in feet is now less than an inch. 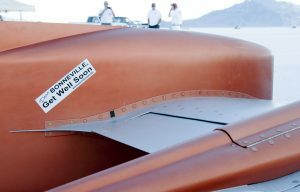 An important point to understand about Bonneville racing that it is a family connected by passion, not necessarily DNA, it’s the single most enduring reason land speed racing remains vibrant more than 80 years later. They all recognize that together they can do something phenomenal that is otherwise impossible for the average person. of 10 hours per day for 7 days, some 11,200 hours donated to hold the event, and an additional 2,400 hours of set-up and tear down by 50 volunteers laboring 12 hours per day for 4 days. “I am looking forward to going back to work where I won’t have to work as many hours in a given day,” said racer turned volunteer Jeff Bryant. But wait, there’s more! 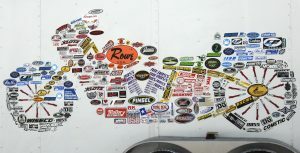 Understand that some 50 people plan Speed Week and World Finals working a minimum of 2 hours per day from mid-March to the moment tech inspection opens in August, about 150 days and 15,000 additional hours. Every year since 1949. From the posted daily run data, the rookie and short courses managed to accommodate a healthy 1,450 runs and 14 spinouts over the seven days. Restricted to 175MPH and slower over two timed miles, the Rookie course has only one timed mile. Long course (175MPH and above) runs are timed over 3 flying miles and saw only 700 runs completed. Not a lot, but each run does take much longer to start, run and complete. Each time the 26 racers spun themselves out, the track was shutdown until the car was cleared and track was declared safe. Overall, there was a vehicle spin about every 54th run, with more than 100 turn-outs – racers aborting the run either due to mechanical problems or simply not comfortable with current track conditions. The latter was doubtless a big factor as the pits were nearly half empty by Tuesday morning with clear evidence of many more packing up, but hanging around to visit. Salt safety sentinels reported only one injury accident despite conditions. Chris Procter, a motorcyclist from the UK’s Isle of Man went down and broke his leg in four places. The rider and bike are back home, and told SCTA officials he is already making plans to return in 2018. 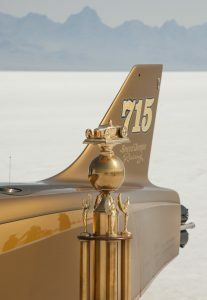 When you consider that the Bonneville Salt Flats have hosted thousands of average “nobodys” who became “somebodys” by setting a record with their hand-built speed machine you begin to understand the value of such a place. Those with a dream built it into reality then proved in front of God and the watching world that their idea had merit. How do you value a chance to live large, to honestly savor personal success? This family-based sport continues to welcomes anyone with a “can do” attitude, encourages innovations in science, technology, engineering and transportation safety. This year, automaker Honda showed up with a streamliner built through it “Young Associate Development Program” beating down one obstacle after another to set a pair of world records by the season’s end. Grandmothers and granddads have eschewed rocking chairs for racecars driving safely, repeatedly and gloriously in excess of 250MPH. Families thrive here. was dependent on the amount of courage drivers found when applying the throttle. George and three of his Speed Demon crew members arrived before the 2016 Speed Week and labored at least 8 hours per day for 3 days performing all the menial sweat work to set-up the pits, race course and inspection areas. So now you know where George Poteet was. They all refused to accept any meals, or per diem normally offered by SCTA. Oh, and Ann dear, would you please fact check me when I tell you that there have been dozens of racing parts George has given away to other racers in need over the years? I am sure those racers would be willing to give you some facts about how many records got set because of his help. You might also want to fact check how Andy Nish learned to drive a race car – in a roadster George loaned his family. And certainly fact check how much direct assistance he has provided year after year to the various sanctioning bodies. For that matter, you might ask George himself any number of things; he’s a gracious southern gentleman who would make time for you even if you were a cub content provider from a high school newspaper. Did you even bother to go introduce yourself before you chose to spit on his reputation?